Palawan never runs out of beautiful islands with breathtaking scenery and natural fresh air that comes with an unspoiled environment. But investments seem slow in coming because of the current economic downtrend or slow recovery of most countries worldwide. Still, there is a growing market for exclusive travelers or luxury tourists in search for unusual places and spots that are not yet too commercialized. 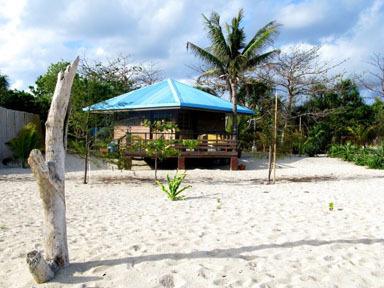 In view of this new eco-tourism trend, the owners of Arena Island, a four-hectare private island in the coastal municipality of Narra, Palawan, are inviting interested investors to join them in exploring the potential of this one-of-a kind island that will let visitors sail off the beaten-path. Arena Island is a private island which is a joint pioneering effort by communications leader and businessman Louie Morales and Palawan-born engineer Fuji Rodriguez. Touted as Palawan’s best kept secret, the island is a tropical paradise paradox: secluded yet modern, lavish yet eco-friendly. It is raw and pristine and yet is developed enough to provide the creature comforts that travelers long for. The white-sand beach of Arena Island is known as a nesting ground for the pawikan, the Philippines' native sea turtles, whose preservation is Arena's committed advocacy. Tourists will also chance upon egrets and native wildfowl and enjoy the spectacle of a rich marine diversity under water. The island’s Environmental Compliance Certificate (ECC) from the Department of Environment and Natural Resources (DENR) is proof that development in a place like Arena Island can be fused with utmost environmental consciousness. Visitors can relax in the privacy of their very own Casita -- their home away from home. A personal chef and a butler is on hand to attend to their every need. Lush trees and the breeze of the sea day in and day out could be enjoyed while whiling time away in a tree house or in a hammock. Spacious, perfectly designed, and well-maintained pavilions are also available to accommodate a big group of guests. And with year-round fair weather that it enjoys (with Palawan not being on the typhoon belt), the island can surely accommodate tourists even in the usually rainy months.